25 communities will receive funding for off-leash dog parks! PetSafe® is giving away over $250,000 to communities across the country to build, maintain and enhance off-leash dog parks through its annual Bark for Your Park™ campaign! 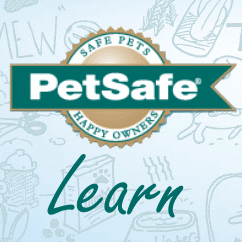 Despite some cold, wet weather, PetSafe® Brand celebrated its first annual PetSafe National Dog Park Day on Saturday, May 6th with five other communities across the country- including Tehachapi, CA, Epworth, IA and Fort Gratiot, MI! This weekend, many of us will be celebrating Cinco de Mayo! Want to make sure your dog doesn’t feel left out? We have the perfect plan for throwing a fiesta for our furry friends. Get Out & Play for PetSafe® National Dog Park Day! The first Saturday in May is a party for the pups! Enjoy the spring air, stretch your legs and meet some fellow dog lovers in your community. On the warm, summer night of Thursday, September 8th, PetSafe® Brand welcomed the City of Durham, NC into its family of dog parks, with a $25,000 grant to build a new play-place for people and their pets. Pet parents in Maryville, Tennessee now have a new place to socialize and exercise their dogs! On Saturday, May 14, 2016, the City of Maryville, Parks and Recreation, and Radio Systems Corporation partnered for the grand opening of the PetSafe® Pistol Creek Dog Park. It's the 9th PetSafe Dog Park to open in the Knoxville area since 2006. Give the dogs in your community a space of their own! Bark for Your Park™ 2017 opens May 1st!